Father's day is fast approaching, it's celebrated in many countries during the 3rd Sunday of June and many promos are well being planned off for that special day to honor the special man or men in our lives. My husband, for me, is the best dad God could ever give my children. To him, each comes first, he shares his half his heart equally among them and of course half of it is for me (he doesn't have a choice does he? 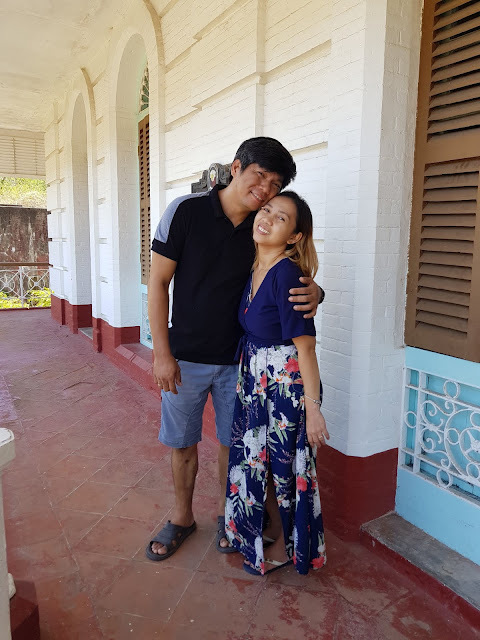 He made a conscious decision to make our family a priority and decided not to explore on vices such as drinking alcohol, smoking and barkadas. Just like when he was in school, it was school and home, when he had a family, it's work and home. I love my guy and I make sure he knows that very well. However, my kids, like any other kids today, aren't vocal and persuasive with their love, well, unless they would need something. I'm blessed to have him as God's vessel of provision for the family, a model of hard-work, patience, compassion and humility. Hence, he deserve every award a good father should receive on Father's day. But, I don't think he's the kind of person who need it. He'd rather treat us to dinner than think of himself. So instead of giving him something (it would be hard to do so, as he would just say "I don't need anything." As his wife, I know what he needs and I'm sure he won't say no to a good massage to ease away all his muscle stress from lifting heavy stuff at home. With that let me also suggest you to gift the man in your lives that pampering sesh he definitely is worthy of. By all means, bring him to Footzone! Before I begin to tell you more about this Footzone experience my daughter and I had, allow me to thank my friend Joy Mendiola of Occasionsofjoy.com for bringing me at Sunshine Place in Jupiter. 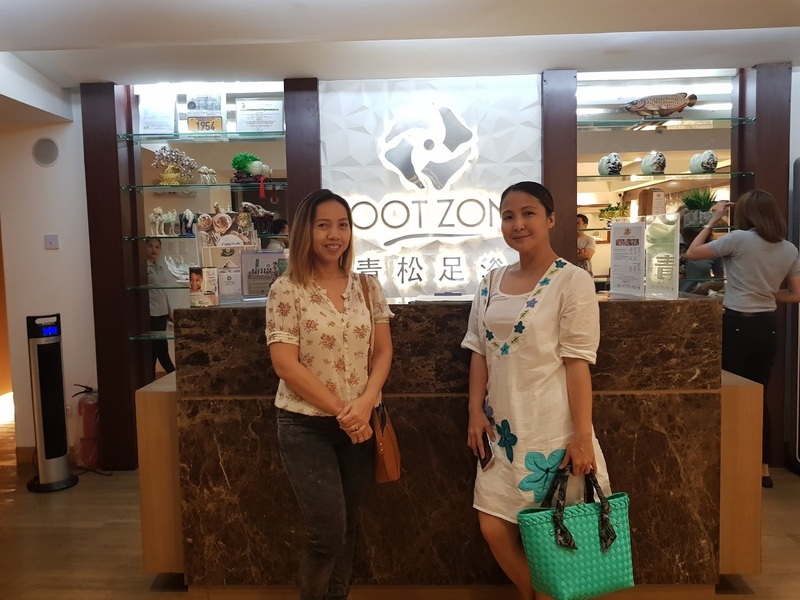 Foot Zone as what was explained to us is a Xiamen-style foot reflexology. 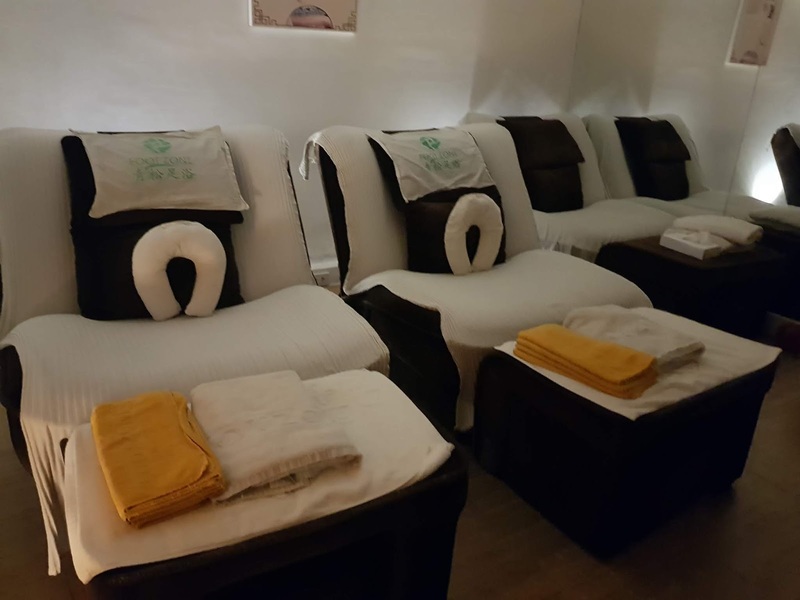 Reflexology in itself is perceived to restore the body’s natural equilibrium and enhance regeneration by activating pressure points in the feet. Xiamen-style in particular see our the nerve-endings of our feet linked to certain organs in the body. The stimulation of these reflex points ultimately removes blockages in the energy stream, allowing the chi or life force to properly flow in the body once more. Foot Zone has brought their own Master Massage Therapist from China to teach all the local licensed massage therapists this special technique. And boy, let me just give props to the one who handled my achy-breaky feet from either wearing flats or platforms. I love how cozy yet spacious each massage rooms are. Since the three of us, me, my daughter and Joy will be having 80-minute foot and back massage, we were assigned to a room that has 6 massage chairs. We were asked to change our pants into some underpants so we could be more comfortable and that they can also massage our legs. The rooms were dimly lit and with a hebally musk scent that lingered inside. The ambiance was made more relaxing with soothing Christian instrumentals and with the aircon turned on with just he perfect temperature. We began with a warm foot-soak, and cleansing afterwardsa and wrapped them gingerly with a clean towel. Then the therapist proceeded with slight foot to leg massage, moved to the arms and hands up to the head. 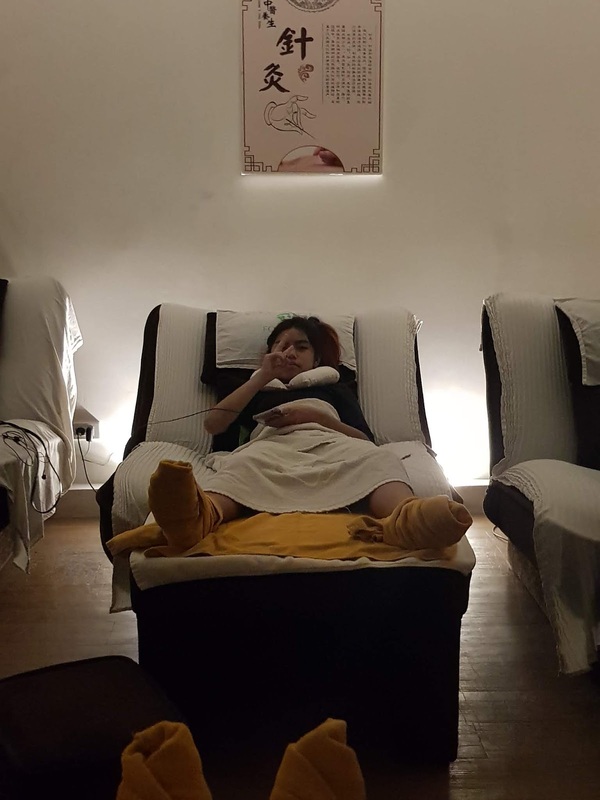 Here began my uber relaxing foot massage, when I dozed off for a while. My senses awaken when she used a knob or a wand to pin my nerve endings with and it was sore at first but then you'll instantly feel the relief. As if something painful in your feet were lifted off and your feet are left soothe and smooth. Also, hard to forget about slight hammering all over your feet, sort of another from of pleasant massage. I didn't bother asking the therapist about all the procedures as I was off to Lala land. But it didn't stop there, she used some kind of sorcery, a jar lit with fire suctioning the back of my feet over and over until she felt my skin had had enough of torture. Hahaha...Well, it wasn't like that at all, the procedure was harmless and was actually fun to see, and it wasn't painful. The back massage followed suit and I thought at first, I was kinda bugbog but in a good way that is. My :lamig" was bugbog and I just felt light after from the shoulders down to my lumbar areas. I like how she does the massage using her thumb and knuckles and how she uses enough pressure to trigger my heavy stressed points, and unlike other back massages where your skin feels tingly after the constant massage even with oils to lessen the weight of stress pushed against the back muscles, this one only concentrates on the stressed areas only. Lastly, we were made to transfer from our bed bod to a stool as she performed an amazing maneuvering were your pinned nerves loosens up with some arch stretching. Heard some bones crackled. But it was relieving. One last touch to the head and we were done. We were offered with teas and water after and we gladly responded yes. According to my daughter, she loved it and told me to bring her dad at Footzone so he too could experience the ultimate relaxation he long had been meaning to have. Nice of my daughter to think of that. So there, you now know what we're gifting our Daddy with on Father's Day, in fact, we both might do it on a monthly basis. with the aaa grade replica watches Venice Architecture Biennale show Rolex replica watch unremitting pursuit for excellence luxury breitling replica and achievement in this field, the most outstanding contemporary replica hermes handbags store architectural exhibition clearly illustrates this point. Arnaud Boetsch said: “in the louis vuitton replica handbag next few years, we are looking forward to enhancing cooperation relationship swiss replica watches with.